FREE. Registration Essential. Please RSVP HERE (opens in a new window) by 23 July. The Chinese dating show If You Are The One was first broadcast on SBS in 2013. It has become the longest running non-English program in Australian broadcasting history. 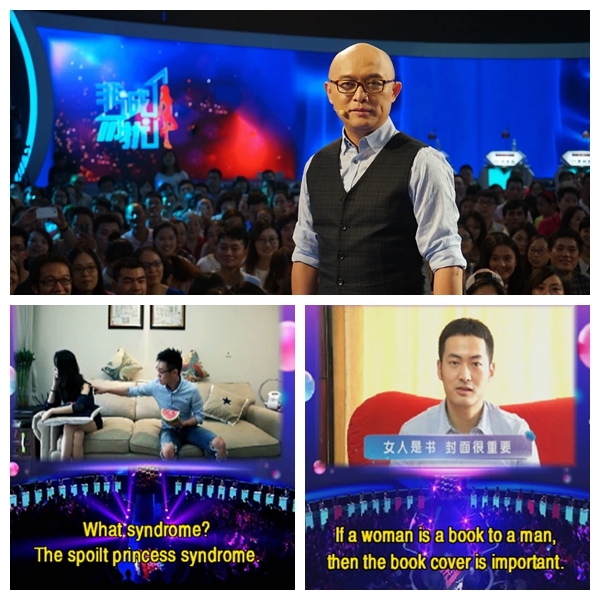 The show has provided Australian viewers with direct access to the lives of ordinary Chinese people and the contemporary society of China, as well as the witty and sharp humour of the host Meng Fei. This access comes entirely from the English subtitles. As we know, Chinese and English share no common linguistic and cultural ancestry. They have completely different syntax, lexical structure and vocabulary. The bridge between the two is translation. However, any premise that literalism equals accuracy, as well as the notion that absolute accuracy in translation is possible – is absolutely false. And the view that a 'message' can be communicated to any audience regardless of their cognitive environment is simply not true. There is no such thing as 'sameness' in the two languages. Furthermore, subtitling is governed by three principal constraints: reading speed (duration), spatial constraint, and deprivation of tools used in print media, such as footnotes or endnotes to provide explanations of concepts and ideas that don't exist in English. Also, as far as subtitling is concerned, Chinese is far too concise. Being ideograph-based, Chinese takes up less space than English in its written form and is of shorter duration in its spoken form. As the show's leading subtitler, Dr Jing Han will discuss the concept of audience design and effective communication strategies to reveal how she takes on the linguistic and cultural challenges in subtitling If You Are The One. She will unpack the intriguing process of negotiation and manipulation in reining in the cultural and linguistic differences and transforming them into a shape and form recognisable to and accessible by the Australian audience. However, an audience's perception and understanding are conditioned and restricted by their own language and culture, so the English subtitled version watched by the Australian audience may vary from the Chinese version watched by the Chinese audience. A translation text therefore becomes a new text, which has a life of its own and opens up new ways of seeing the original text. 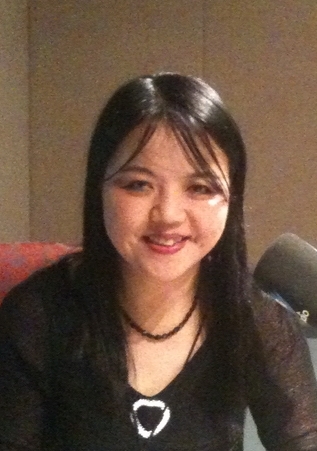 Jing Han received her her PhD degree in English literature from University of Sydney in 1995. She joined SBS TV in 1996 and now heading SBS Subtitling Department. Over the last 21 years, she has subtitled more than 300 Chinese films and TV programs for the Australian audience, including Crouching Tiger, Hidden Dragon, Lust, Caution, Hero, Not One Less, The Road Home, Under the Hawthorn Tree, Forever Enthralled, Sacrifice, Crazy Stone, The Blue Kite etc and has also so far subtitled over 250 episodes of the TV series If You Are the On. Dr Han is a senior lecturer at Western Sydney University, teaching translation studies and supervising PhD candidates. Dr Han has established a high profile nationally and internationally in translation studies and gained recognition as a leading expert in audiovisual translation and intercultural communications. Jing is the translator of a modern Chinese classic Educated Youth by multi-award winning author Ye Xin, published by Giramondo.